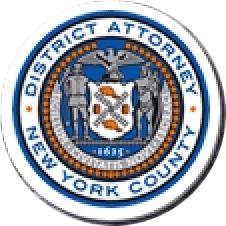 Manhattan District Attorney Cyrus R. Vance, Jr., today announced the indictment of RODERICK COVLIN, 42, for murdering his wife, Shele Danishefsky Covlin, inside her Upper West Side apartment in the final days of 2009. COVLIN is charged in a New York State Supreme Court indictment with two counts of Murder in the Second Degree. According to the indictment and statements made on the record in court, between December 30th and December 31st of 2009, COVLIN killed his 47-year-old wife, with whom he was estranged, inside her West 68th Street apartment. The victim’s body was found the morning of December 31, 2010. Assistant District Attorneys Matthew Bogdanos, Senior Trial Counsel, and Anne Siegel are handling the prosecution of the case, under the supervision of Executive Assistant District Attorney John Irwin, Chief of the Trial Division. Assistant District Attorney Ann Prunty, Counsel to the Trial Division, Deputy Chief Investigator Robert Mooney, Assistant District Attorney Shanda Strain, and Senior Investigative Analyst Nicole Drosinos assisted with the investigation.